Making your own extra virgin coconut oil is simple and doing the work yourself will save you money. This luscious oil can be slathered on your skin as a moisturizer or you can even cook with it. 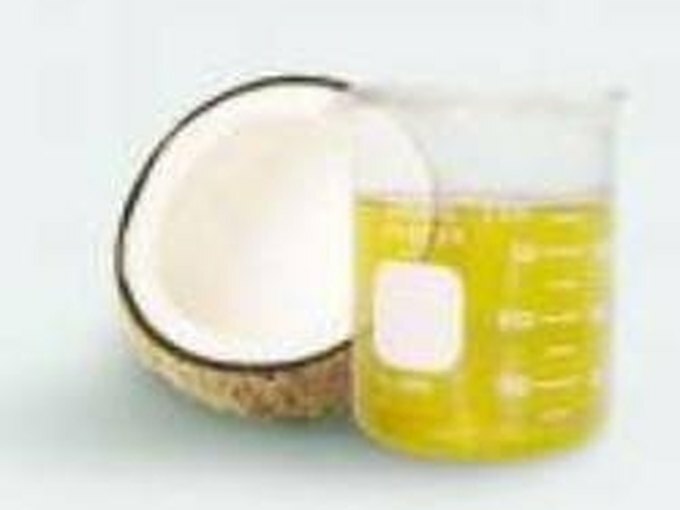 The saturated fat found in coconut oil is actually good for your health. 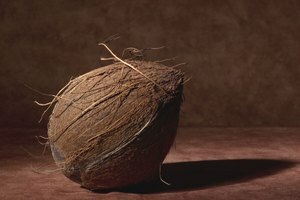 Coconuts contain healthy fats that help to lubricate the joints, and reduce inflammation within the body. The oil also has a fresh slightly sweet taste that works well with many dishes. Place your coconut on the counter or cutting board. Take your screwdriver and hold it up to the coconut. Use your hammer to pound the screwdriver into the coconut and make three holes. Hold the coconut over a measuring cup and drain the coconut milk into a measuring cup. Mix 4 ounces of distilled water with the coconut milk. The next step is to cut the coconut in half and cut out pieces of the pulp. Shred the coconut pulp into small pieces over a bowl using a shredder. Cut the coconut in half and cut out pieces of the pulp. 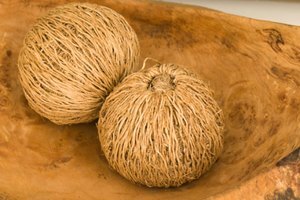 Shred the coconut pulp into small pieces over a bowl using a shredder. 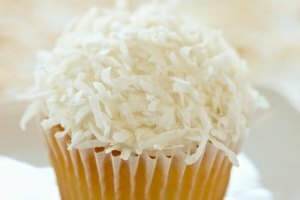 Pour the coconut shavings and coconut milk into a blender and put the lid on the blender. Blend the ingredients on high. The mixture should still be fairly thick. Hold your strainer over a bowl and strain 1 cup of the mixture at a time. Use your spatula to press down on the mixture to thin out the pulp and get as much liquid out as possible. Pour the coconut milk in a pot and place on the stove. Turn the stove on high heat and boil the solution. Stir the mixture and keep boiling until you see the mixture becoming oily and much thicker. Pour the thick mixture into a strainer. Press down on the spatula to push the oil out. You may need to boil the coconut milk again to get more out. When cutting the pulp on the inside be careful and take your time. Some people prefer to scrape out the pulp. Hold the coconut firmly when collecting the pulp. While the coconut milk is boiling it is very important to continually stir the mixture. Be patient. You may need to repeat a few steps in order extract more oil.